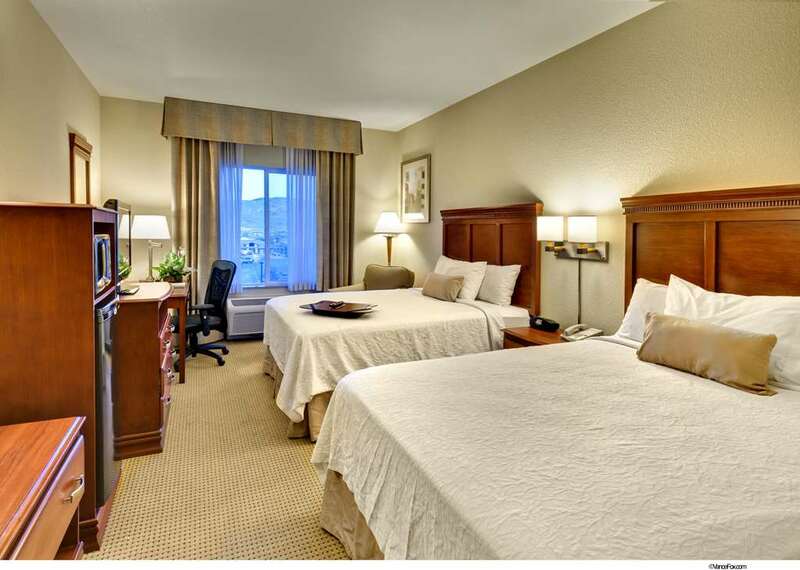 Whether your visit to Reno Nevada is for business or pleasure the Hampton Inn and Suites Reno NV hotel is here to make your stay comfortable and memorable. Centrally located in the South Meadows area of Reno the hotel is close to many of the local attractions corporate office buildings and a short drive to many outdoor activities. The hotel is just seven miles from the Reno Tahoe International Airport. This beautiful new hotel is elegantly appointed with an upscale look and service to match. Our Reno Hampton Inn - Suites features amenity filled hotel rooms and suites that come standard with a king or double queen bed coffeemaker microwave micro-fridge hair dryer iron and ironing board radio/alarm clock two phones voicemail cable TV with complimentary movie channel and complimentary high-speed internet access. Guests can request a spacious suite with sleeper sofa connecting rooms and cribs. Sure to please the busy executive or leisure Nevada traveler Reno Hampton Inn - Suites hotel guests will enjoy our complimentary On the House hot breakfast buffet served daily to start your day off right. Guests will have access to our indoor pool and spa on-site exercise facility guest laundry and a large meeting room. We love having you here in Nevada at the Hampton Inn - Suites Reno hotel.